The classic wetland plant… a perfect permaculture plant! One of the best bioremediation (water filter and such) plants on Earth. …or less so (and less attractive! ), but the Cattails don’t care, and the water is still cleaned. 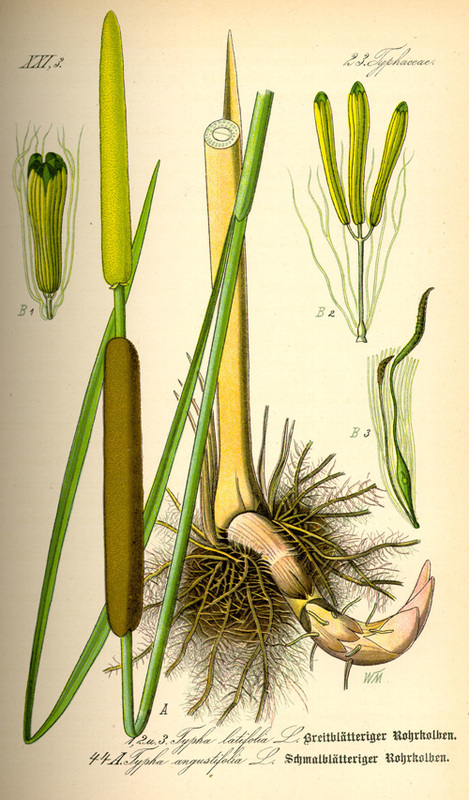 Whether they are called Cattails, Bulrush, Reedmace, Cumbungi, or another local name, few people are unfamiliar with their local Typha species. This common wetland plant is one of the most versatile elements a Permaculturist can add to a land design. Most parts are edible and have been used as such for thousands of years. Animals utilize this plant for food and shelter. The leaves and stems can thatch a roof, make paper, or fuel a fire as charcoal… to name but of few of many uses. This fast growing plant is also one of the best wetland water filters on Earth. This plant should be strongly considered for any water feature you have! Native and widespread around the Northern Hemisphere, from just below the Arctic to the Tropics. It has been used as food, fuel, fiber, and medicine by indigenous people in these areas. It has been introduced to many new locations around the globe, and it continues to be used in many ways around the world but most commonly as either a decorative wetland plant or as a natural water filter species. Typha × glauca – this is a hybrid cattail (T. angustifolia × T. latifolia) and is the White Cattail which is typically sterile… not a bad choice if you are concerned about spread by seed. 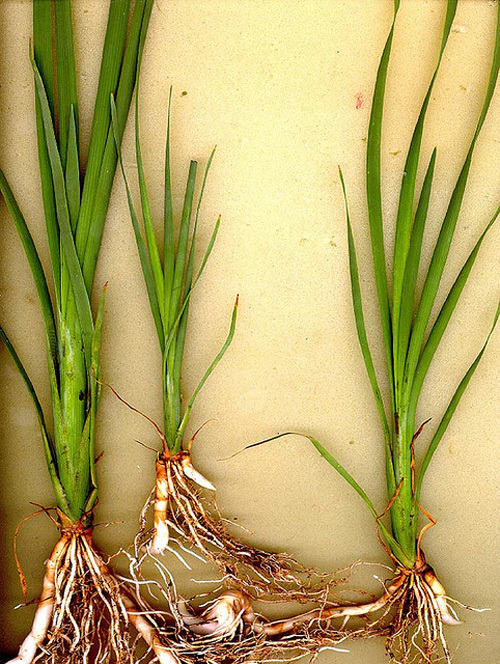 This plant will still expand through rhizome (root) expansion. The immature male flowers are edible and many consider it a delicacy. They can be cooked and eaten right off the core, or scraped off and used in many ways. 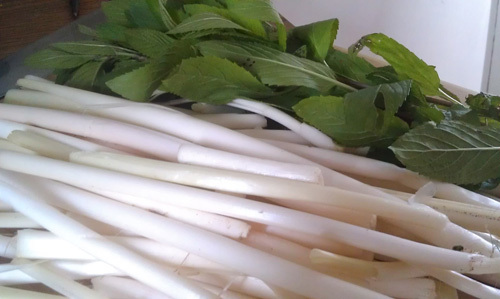 Edible Roots – raw or cooked. Can be treated like potatoes. 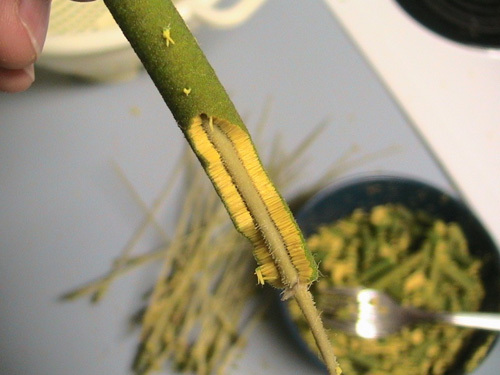 Edible Stems – just the base, peel back the outer stem. This is the only part of this plant I have eaten so far. It was quite palatable to a 10 year old boy swimming in a pond in south Florida! Flour – roots and seeds can be dried and ground into a flour. This flour can be added to cereal flours for bread making. The flour can be used as a thickening agent in soups, stews, and sauces. 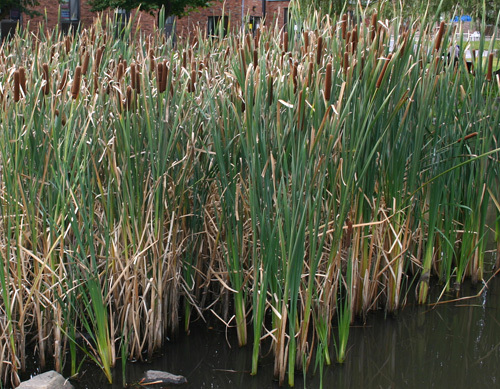 Bioremediation Plant – beds of Cattails can be used as part of a biological filtration system to clean and purify contaminated water, often as part of a constructed wetland. 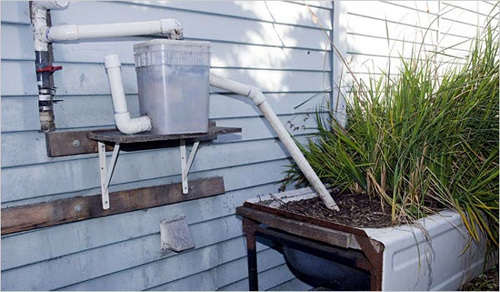 This can be part of a home gray water system as well. Fiber Plant – from stems, leaves, and flowers, used to make paper, mats, hats, chairs, baskets, etc. Yield: Variable, in one study, 2.5 acres (1 hectare) produced 8 tons (16,000 lbs or 7,250 kg) of flour from the roots. Harvesting: One report states the roots are best when harvested in Autumn through to Spring. Shoots are harvested in Spring until 20 inches (50 cm) tall. The leaves can be harvest year-round, but typically less in the Spring when rapid growth is underway. Storage: Use within a few days fresh. The roots and seeds can be dried and stored whole or ground into flour. Flour does not store as long as whole seeds or roots. The rhizomes (type of root) grow and allow the plant to spread… and they are edible! Pollination: Self-fertile – these plants are considered monoecious... a single plant will have both male and female flowers. The male flowers (staminate) are at the top, and they wither away after they release their pollen. 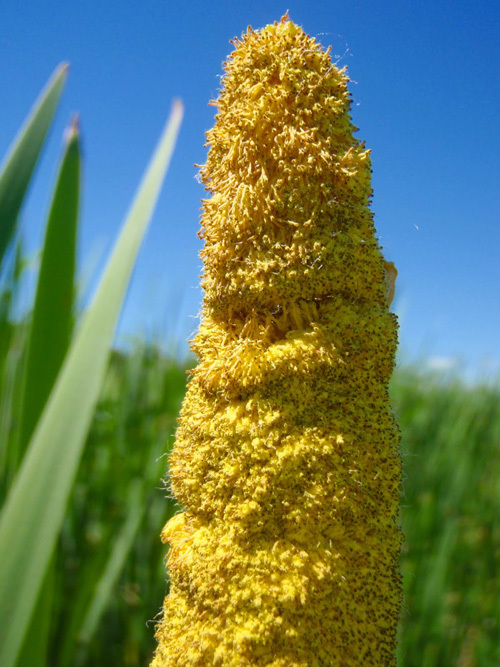 The female flowers, produced in large number and make up the classic sausage-shaped structure on the Cattail, are located just below the male flowers. Pollinated by the wind. Years of Useful Life: No good information available as we typically harvest bulbs and eat them. Considering that the plants can be propagated from bulb division, an individual’s life span is likely irrelevant. The male flowers are the source of pollen… which is also edible! 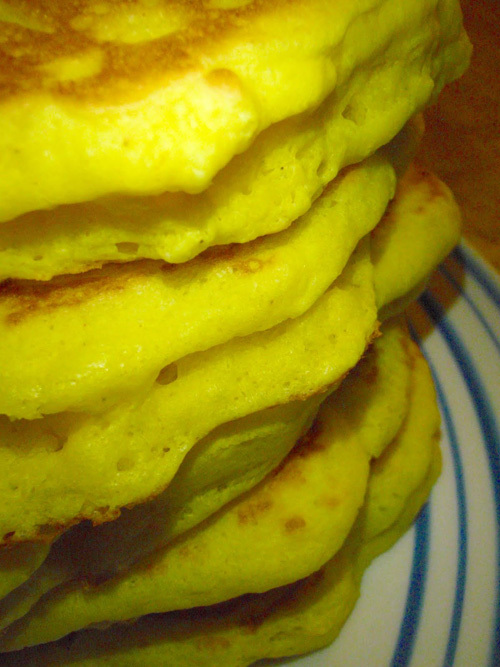 Cattail pollen pancakes… I can’t wait to try these… they are gluten-free, too! 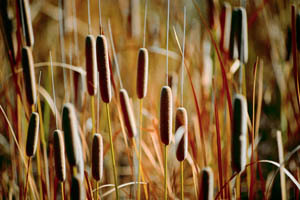 Common Cattail, Reedmace (Typha latifolia): 5-10 feet (1.5-3 meters) tall. Will grow in water depth of 2-3 feet (0.75-1 meters). 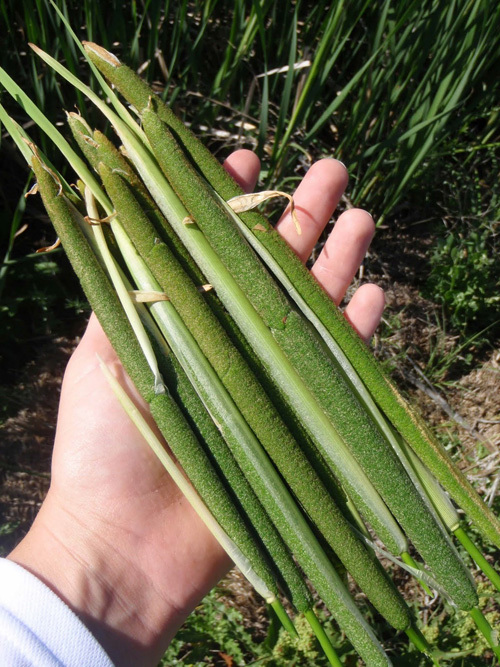 The fruit of the Cattail is composed of these soft hairs which have been used to stuff pillow, start fires, and line birds’ nests. 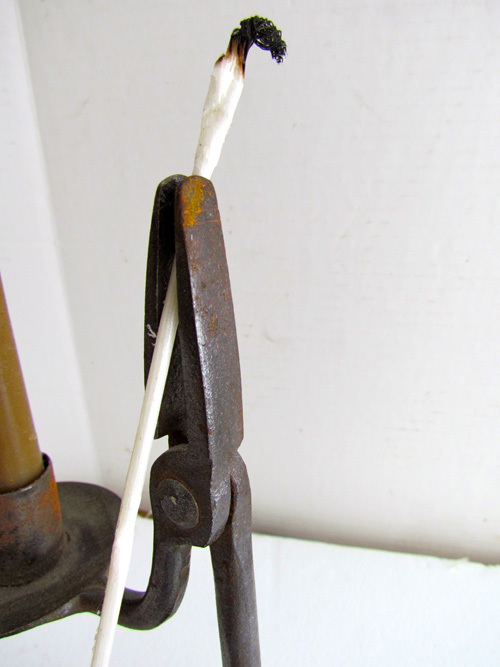 Rushlights are candles made by soaking the dried pith (inner core) of Cattail (aka “Rush”) stalks in household fats. They were so common at one time that special holders were made specifically for them… these are now considered antiques. Moisture: Wet, boggy soils to fully aquatic conditions. This is a fast growing plant. Some consider it invasive. However, at least one species is native to most parts of the world. Just be wise in where you plant this species. Seed – sown just at the surface and flooded. Young plants can slowly have the water depth increased. It is much easier to propagate through division in Spring. Divide the shoots from the mother plant, and just plant any shoots that have roots attached. This depends on what you are doing with it. If you have a native stand, then there is not much needed to be done. 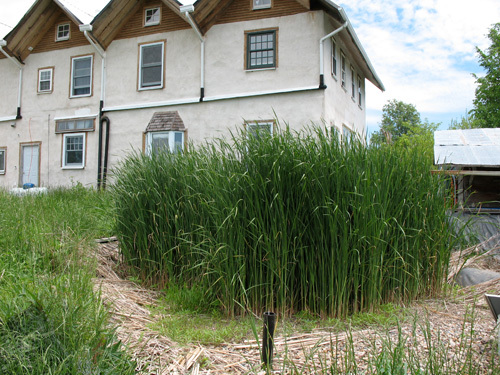 However, considering how fast this grows, it makes an excellent nutrient recycler… plant a bed of Cattails at the lowest level where water exits the property. Once or twice a year, significantly cut back the stalks and leaves and use these as mulch or compost higher up in the property. The rhizomes can be harvested at this same time for food or division. 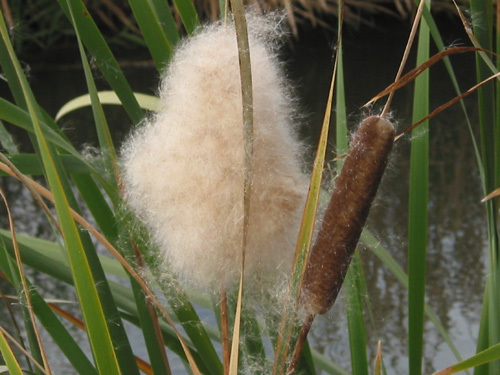 Cattails can accumulate large quantities of toxins, which make it a great water-cleaning/filter plant, but can make consumption of this plant potentially hazardous if grown in contaminated sites.